I loved everything about this book! 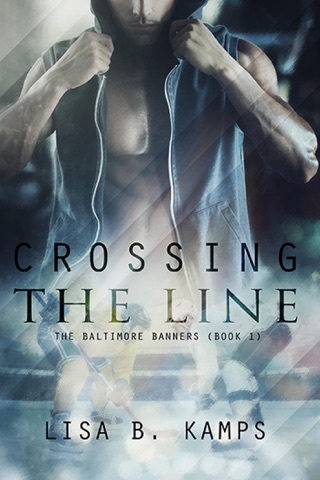 Not the usual cocky, confident hockey star, Aaron is refreshing in his indecision, hesitation, and fear of stepping out of his comfort zone. And with two daughters suddenly living with him as well as a friendly, yet reserved neighbor who catches his eye, Aaron has a full plate. Plus, he’s dealing with the waning years of his pro hockey career (now assigned to a semi-pro team), thinking of himself as “old” at 34. But, friendship suddenly explodes into passion with neighbor Savannah, and his daughters have him questioning his parenting skills. Even his mother tries to gently make “suggestions” to help him find the right path. Come along for a refreshing romance you’ll find hard to stop reading. Another great addition to the New York Bombers series! 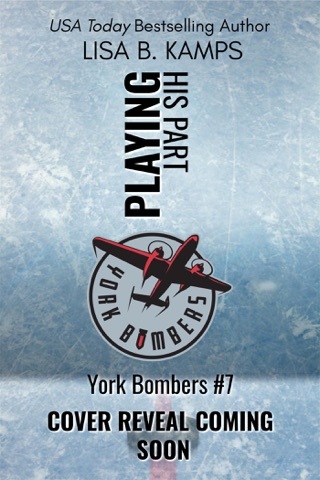 Another great addition to the York Bombers series! Every story is a winner and this one is one of my favorites! Aaron, considered an “older”player in hockey, is struggling to raise his two daughters, whom he’s only seen irregularly since his divorce, on a full-time basis since the tragic accidental death of his ex-wife. To say this is a big adjustment for Aaron is an understatement. While his youngest daughter, Isabella (who is 10), is trying her best with the new reality of living with her dad after losing her mother, his older daughter, Brooke (who is 13 and fits the stereotypical young hormonal teenager) is at the other end of the spectrum...angry at everything and takes it out on her dad, repeatedly. Not an easy way to be thrust into full-time parenting. Even if Aaron wasn’t a professional hockey player, this would be a challenging situation for such a young (34-year-old) man. It’s one thing to deal with very young children, it’s another to be thrown into the young teen years...not for the faint of heart! Add in that he’s busy many evenings playing games or on the road with the team, this is a really difficult situation. He wants to do what is best for his daughters...bit it isn’t easy. Savannah, his next-door-neighbor, is drawn to Aaron and, in truth, Aaron is drawn to her. But it’s more complicated than that...he’s a package deal. Savannah is uncertain of where she fits into Aaron’s life. Aaron sends mixed messages...he wants to be with her but his daughters are his priority. How can she compete with that? How can she have a relationship with him? Some of the funniest and also most poignant moments happen when Aaron’s mom, Carol, steps in and gives him some motherly advice. Carol tells it like it is to Aaron...which he sorely needs to hear. This is a heartwarming story with a lot of fun, and like real life, not so fun moments thrown in. I’ve enjoyed all of the stories in this series and they just seem to get better and better which is saying a lot because they’re all wonderful! I voluntarily read an advanced reader copy of this book, however, this is my honest opinion.